Going to get an iPhone 4S? Well that is awesome. Do you know about Siri ? what can siri do ? You know what would make your iPhone 4S even more awesome? Apps, of course. The App Store boasts more than 500,000 apps, so finding the best ones is a very tough task. Would you like to add iphone 4s wallpaper. This is where we come to help — 10 Things You Need To Know About iOS 5 —as today we have a list of 20 Must Have Apps for Your New iPhone 4S that will make your iPhone 4S too good to be true. Check them out! As the name suggests, Songza is a music streaming service for web and mobile that has A-one playlists created around music moods, genres and cultures. Songza app allows browsing and streaming playlists, creating your own playlist collections, following the listening activities of friends and searching for playlists by song or artist. This app will come in handy at all those times when you want to listen to some songs and not worry about building a playlist. 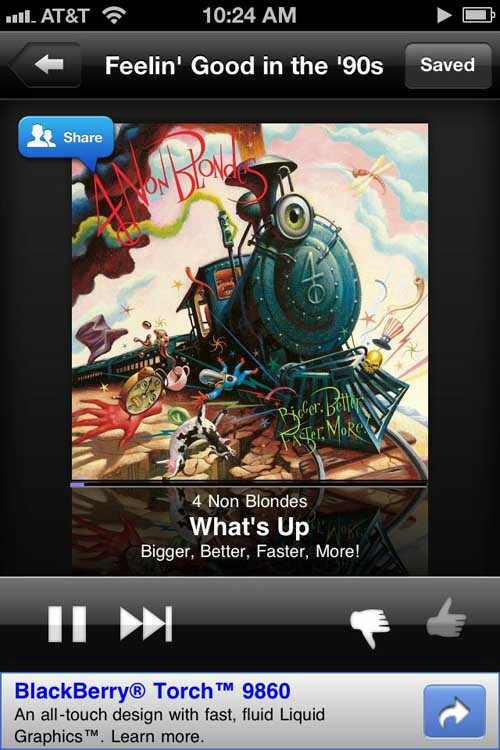 And don’t worry, this app will not interrupt music with an audio advertisement! A really fun game in which you are required to press and hold to help your tiny bird over the hills and fly high and fast from island to island. This game might sound easy, but it definitely gets tricky. Love Scrabble? If so, then this is the ultimate game for you. This game is from Game studio Zynga, who have revamped the classic Scrabble board game with a fresh mobile and social twist. This ‘Words With Friends’ is extremely addictive. This game already has 20 million + players! You can begin as many games as you like (up to 20 at one time), and play against your friends, Facebook buddies, random opponents or the person sitting right next to you. You even have the ability of starting a game through Twitter, and then you can tweet about your victories. No one likes Zombies, but everyone loves fighting them. If you are one of those people who just love fighting Zombies, then you should definitely check out this game. 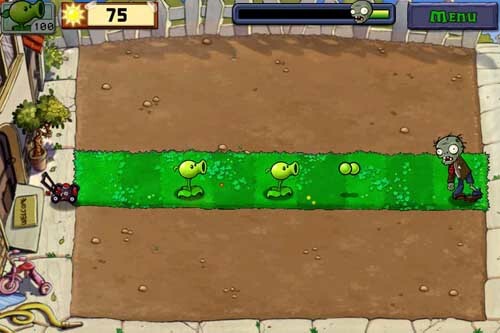 Plants vs. Zombies is a PopCap’s award-winning game on iPhone and iPad. It is a really cool strategy game in which you have to use an arsenal of plants to prevent the zombies from entering your home and eating your brains. With each new level the zombies and plants both would get even deadlier and craftier — so this game keeps on getting even more exciting. Well, the name says it all. Who doesn’t know about FarmVille? If you are addicted to FarmVille, then get this app as soon as possible. Using this app you can keep and eye on your farms even when you are away from your desktop computer. You can use the FarmVille for iPhone app or check out the new express version inside the enhanced Facebook for iPhone app. This is an Apple-made app that lets you watch movie trailers in HD. It is a new app that has already become a hit. The interface of this app is very slick and chic and you can see popular trailers from different categories and genres. 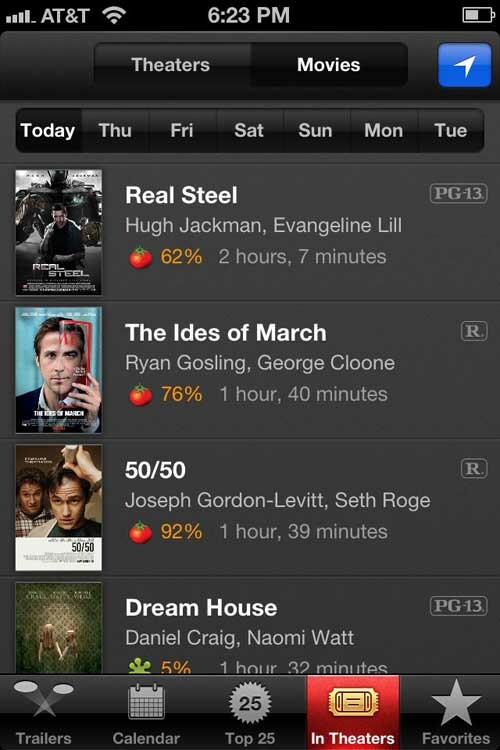 It also boasts a movie calendar and you can even look up showtimes at nearby theaters using this app. Are you a news junkie? If so, then this is the ultimate app for you. This app provides your with news from the websites, publishers and social sites you love. It has a clean and chic interface and it also syncs across web and mobiles for a great news reading experience without any interruption. Now you don’t have to worry about where should you eat and what should you eat, thanks to this cool app named Forkly. Forkly lets you taste, rate and share your meals and drinks to search for nearby items you may like. The app makes informed recommendations. It is an extremely simple app which lets you find new dishes right around the corner. Definitely a must have! Attention all the Starbucks fans out there. Now you can get all the information about Starbucks directly from your iPhone via this app. This app can boasts amazing features like a store locator, food and beverage information, and an easy way to send the gift of Starbucks to a friend. One of the most amazing feature of this app is the mobile pay. 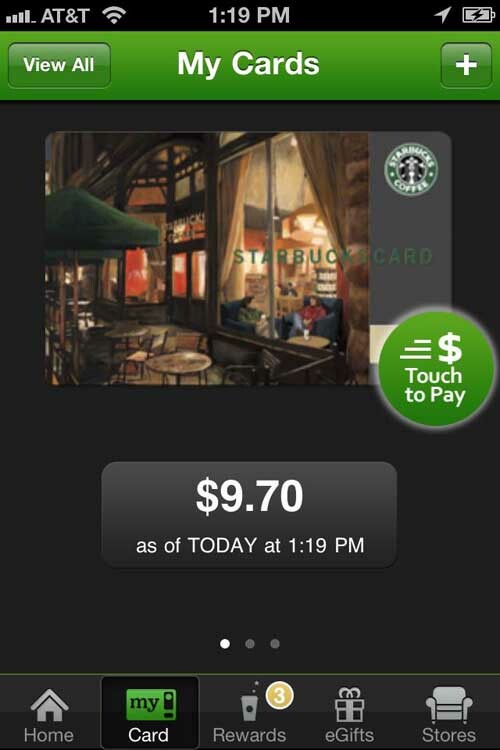 Simply load up your virtual Starbucks card with funds and scan your personal barcode at the register. Simple. This app allows you collect expenses and put together expense reports painlessly. You can use this app as a mobile expense tracking assistant. It lets you manage reports, scan photos of receipts, edit expense details and even submit a report for approval. 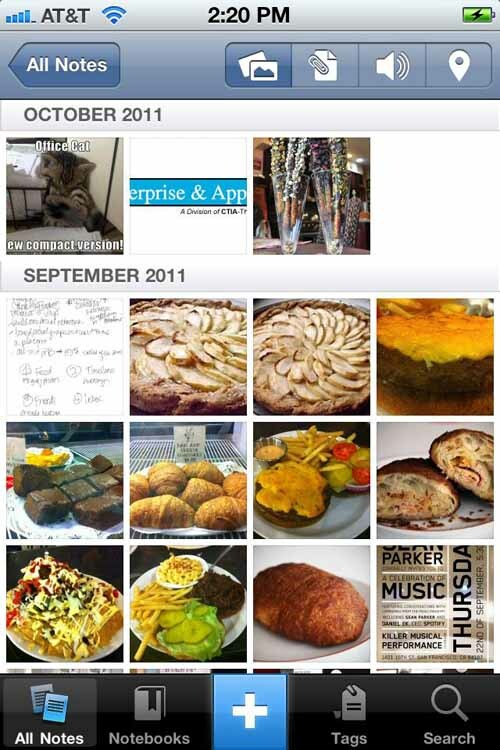 CardMunch is an app by LinkedIn. It is a realy useful app that can transcribe business cards through photo scan and then save the contact information to your address book. In this way the contact information would be safely saved and you won’t have to worry about keeping the business cards safe. Evernote lets you quickly take notes and then save them. It lets you capture and save text, audio and photo notes to notebooks in order to stay organized. It is a sort of always-accessible database for your life. Definitely a must have for all. Nike+ is a great app for all the prolific or occasional runners. 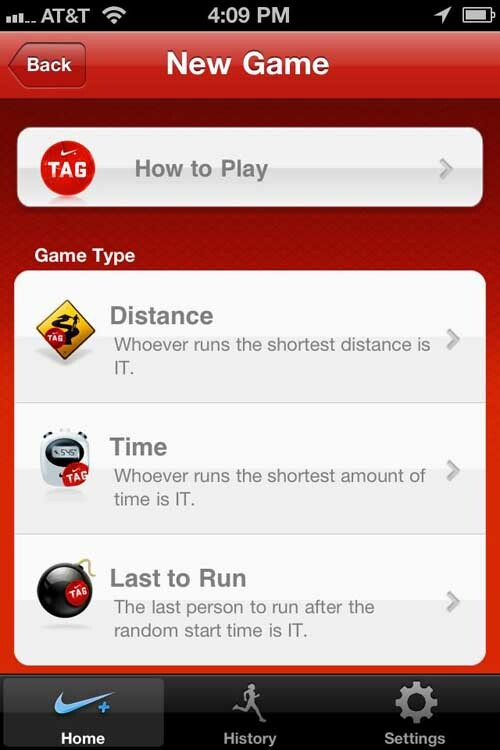 It allows tracking your runs, getting motivation from Facebook friends and even competing with friends in games of tag. It also keeps your past 30 runs stay synced to your phone and the web. You can track the elevation and pace of your runs using this app. Nike+ will also talk you through mid-run milestones and even challenge you to beat your best times. 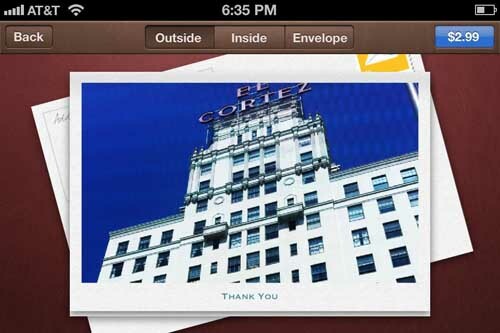 Cards is an Apple-made app that lets you design, print and ship greeting cards straight from your iDevice. It allows adding in your own pictures, tweaking messages to your choice and previewing the inside, outside and envelopes of each card you want to send. It is a great way of sending physical postcards or greeting cards with a personal touch. 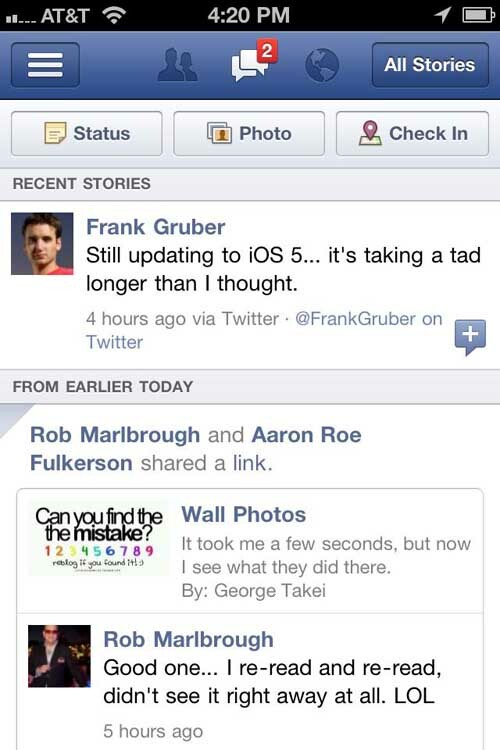 Facebook for iPhone app just got revamped which has made the experience even better. Now you can even use your favorite Facebook games and app inside this application. This app is extremely fast with really awesome and smooth navigation. The navigation has been streamlined into a left-hand menu that looks exactly like what you see on the web. Instagram is the ultimate app for all the photographers. It does not matter if you are a photographer by hobby or if you are a professional photographer, this is a must have app for you. You can create really beautiful and stylized photos with it. It boasts a great collection of filter effects, and you can also add a little tilt-shift to have fun with the focus in your photos. You can even share your photo creations with your followers, or post them to other social networks. HotelTonight is an app that can come in handy at all those times when you want a hotel for the evening. This app lets you find hotels nearby. You can book last-minute rooms up to 70% off at hip, boutique or basic hotels in your area. You will also be provided with 3 deals everyday and you can book up until 2 a.m. local time for a same-day stay. It is a really good app that can prove to be really useful. This app provides a great way to shoot and share video from your iPhone. It allows capturing footage, previewing it and adding one of 7 awesome filter effects to stylize your clips. It can save clips to your camera roll or you can post them to Facebook. You can also follow the clips that your Facebook and Twitter friends are sharing. If you love Twitter, then you should definitely get this app. It is a great app that comes with a lot of amazing features that let you follow people, trends and breaking news. Using this app you can tweet all day long and whenever you want! I’m checking out the iTunes Movie Trailer app…looks like a great way to kill some time. Another nice app is the Team Coco app (Conan O’Brien).